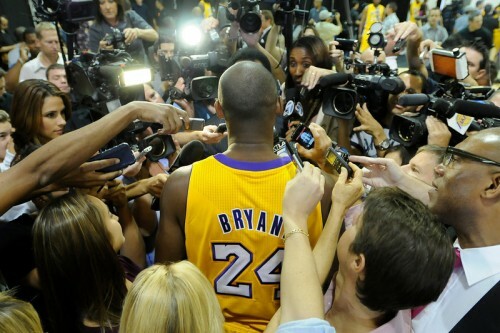 Kobe Bryant is now trying to be the best elsewhere. According to reports, NBA legend Kobe Bryant has been nominated for his short animated film ‘Dear Basketball’ according to Bleacher Report. The film is based on a poem Bryant wrote for ‘The Players’ tribune’ in 2015. The film has already won the 2017 World Animation Celebration award after it debuted at the 2017 Tribeca Film Festival. NBA | Kobe Bryant Refuses To Buy A House For His Parents After Buying In-Laws A Million Dollar House!